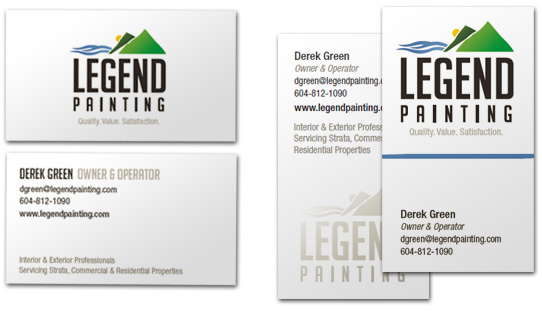 Legend Painting approached us looking for a logo, business cards, and a website. They had some specific requests in terms of logo, and we produced concepts to match. One had to include a paint brush or roller, and another should incorporate the mountains, the sun, and the sea. I'm sure you can figure out which they chose from the business card concepts we designed below. 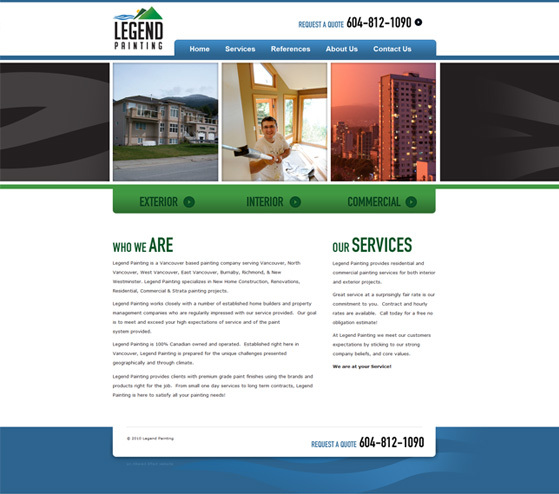 We produced a website design for Legend Painting, and set them up with a CMS. Featured on the Home page (below) is an animated three-panel slideshow which they can add pictures to through a gallery in the CMS's backend.